A City Council Hearing on the Chicago Police Torture Reparations Ordinance has been scheduled! 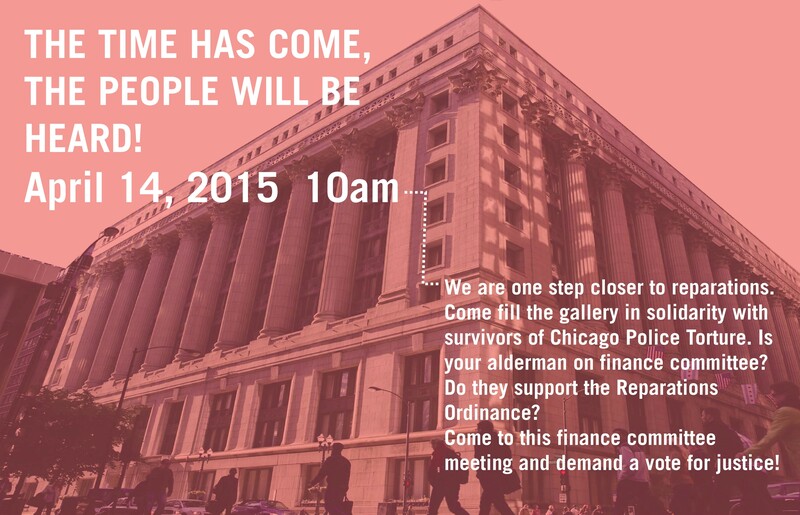 Alderman Ed Burke, Chair of the Finance Committee, has announced that the committee will hold a hearing on the Reparations Ordinance on Tuesday, April 14 at 10 am. In recent months, People’s Law Office has joined with Chicago Torture Justice Memorials, Amnesty International, BYP100, Chicago Light Brigade, Project NIA, and We Charge Genocide to organize marches, demonstrations, rallies, sing-ins, exhibition-ins, teach-ins and more to demand a hearing and passage of the ordinance; and our efforts are paying off. This entry was posted in featured-news, news by Brad Thomson. Bookmark the permalink.